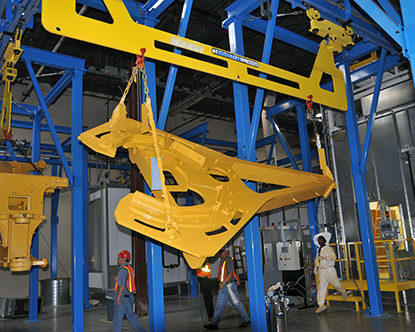 IntelliTrak Series 3500/5000 - for loads up to 20,000 lbs.+ - IntelliTrak Inc. Opportunity: Large manufacturer of construction equipment needed a conveyor system for a new facility. They chose the IntelliTrak 3500 Series largely because of its promise of extreme modularity. 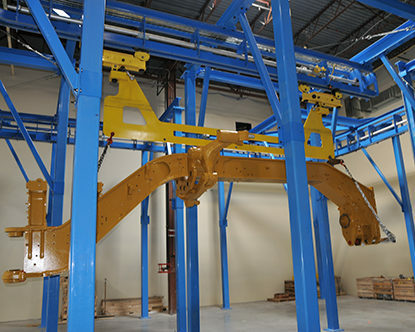 Solution: IntelliTrak’s friction drive system (no chains) and modular support structure (bolted, not welded), is easily modified, expanded and moved—the entire system if required! As parts change and new models are developed or quantities changed, this system is able to easily move with those changes. 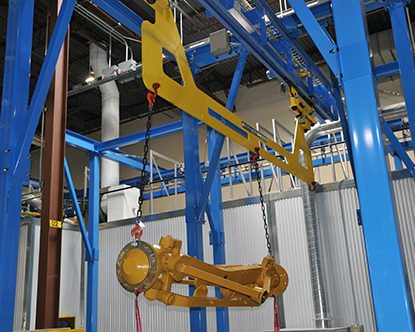 Not only that, but the system’s forward/reverse capabilities and the use of spurs, all served to improve processes, reduce downtime and increase productivity. 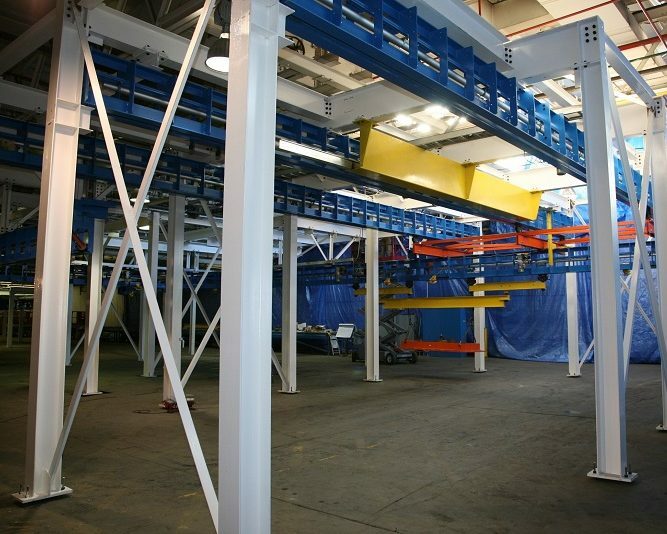 All components are standardized, so that moving forward, further installations and modifications will be simple with minimal project management required. 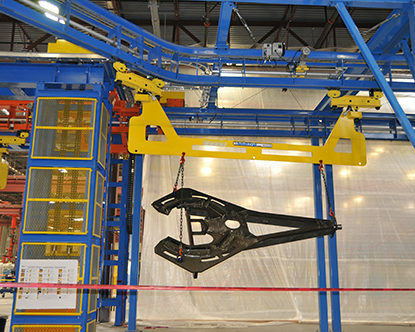 Perfect example of IntelliTrak’s modularity: In one weekend, at the customer’s request, IntelliTrak added switches and a cooling lane, all while production continued, with no downtime and no overtime. That’s huge!